Franchisee of the Year, 1998! Scott M. Brown, owner of the Mr. Appliance of New Hampshire franchise, was awarded the coveted Franchisee of the Year award for 1998. 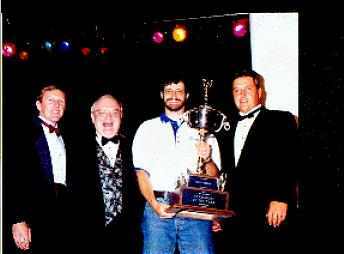 The award was given at the national Mr. Appliance convention (part of The Dwyer Group Annual Reunion) held in Nashville, TN, in August, 1998. Scott's excellent customer satisfaction rating distinguished him for the award from all the Mr. Appliance franchisees across the nation.